Why was absinthe banned ? Absinthe was originally fairly expensive, and largely a drink of the upper-middle classes. 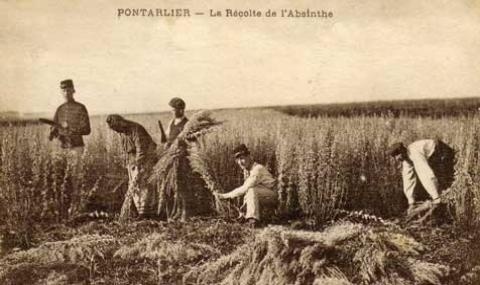 However, by the second half of the nineteenth century it had fallen dramatically in price, both because of increasing economies of scale in its production, and because most producers had switched from grape alcohol to far cheaper grain and beet alcohols. At the same time the number of brands exploded, with many catering for the very cheapest end of the market. What happened after the ban ? 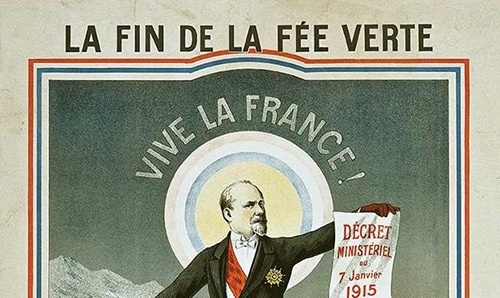 Most of the great absinthe-producing firms went bankrupt, or amalgamated, or switched to producing pastis. Some firms transferred their production to Spain, where absinthe was never banned, and where it continued to be made on a small scale for the next century. 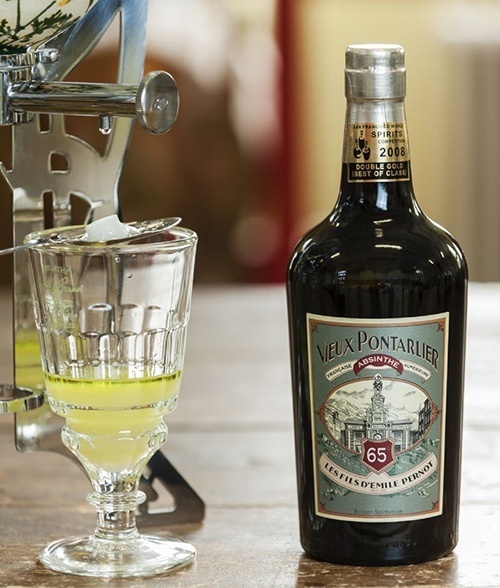 A remnant of the Pernod company made absinthe in Tarragona from 1918 until the mid '60's, although by 1950 the product had already deviated quite considerably from the pre-ban French original. How is absinthe drunk ? All true absinthes are bitter to some degree (due to the presence of absinthin, extracted from the wormwood) and are therefore usually served with the addition of sugar. This not only counters the bitterness, but in well made absinthes seems also to subtly improve the herbal flavour-profile of the drink. The classic French absinthe ritual involves placing a sugar cube on a flat perforated spoon, which rests on the rim of the glass containing a measure or “dose” of absinthe. Iced water is then very slowly dripped on to the sugar cube, which gradually dissolves and drips, along with the water, into the absinthe, causing the green liquor to 'louche' (“loosh”) into an opaque opalescent white as the essential oils precipitate out of the alcoholic solution.